We know about the importance of disease-modifying therapy (DMT) in managing MS and slowing its progression. But you may not know that there are two very different schools of thought when it comes to how and why your neurologist may recommend one DMT over another. 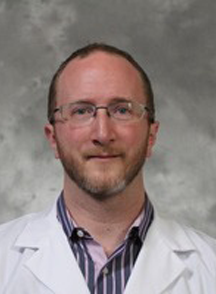 My guest is Dr. Aaron Boster, the System Medical Chief for Neuroimmunology at OhioHealth, and we're talking about an important conversation that you should be having with your neurologist. We're also talking about the newly published clinical trial results that demonstrate that stem cell therapy may be more effective than DMT in managing disease progression among people living with relapsing-remitting MS. We'll tell you about a study that shows how mindfulness can be valuable in improving the well-being for people living with MS, you'll hear about this year's winner of the National MS Society's Barancik Prize for Innovation in MS Research, and if you're living with secondary progressive MS, we'll tell you about a survey that you should really participate in.